Chandigarh: The Punjab government will soon adopt the Clinical Establishments (Registration and Regulation) Act in the state, Health Minister Brahm Mohindra informed the Assembly today. Mohindra said a decision to this effect was taken in a meeting held with Chief Minister Amarinder Singh recently. Mohindra was responding to a question raised by Leader of Opposition and AAP leader Sukhpal Singh Khaira. Khaira had claimed that private hospitals in the state were exploiting patients, often charging them hefty bills. “In some cases, these hospitals even charge over and above MRP. There should be a body to regulate their services,” Khaira said. “We will soon have the Clinical Establishments Act in the state,” Mohindra said in his response. Neighbouring Haryana recently passed a law in this regard. 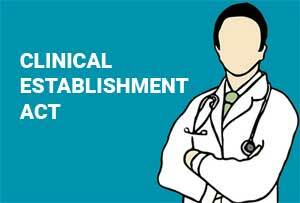 The Haryana Clinical Establishments (Registration and Regulation) Adoption Bill, 2018, was passed by the Haryana Assembly earlier this month.